Syd and Bre had their first birthday tables at school. 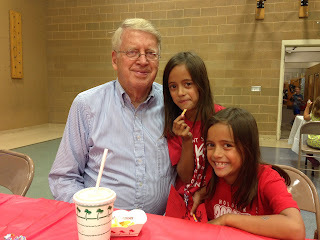 They requested In n Out and for grandpa to come. I'd say they were pretty happy! 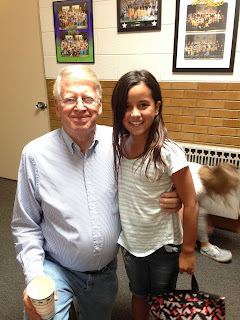 Claire happen to be coming to lunch as we were leaving and she was able to give grandpa a big hug.